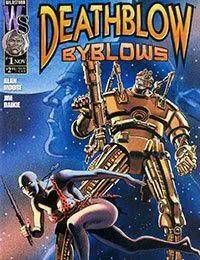 Deathblow returns, sort of, in a surprising miniseries from award-winning writer Alan Moore (PROMETHEA, WATCHMEN) and artist Jim Baikie (TOMORROW STORIES). A change of gender is only the beginning for the former Michael Cray, aka Deathblow, as she faces impossible odds and opponents who also claim to be Deathblow. In the midst of combat, this new heroine will have to conquer her own fears, her former allies, and frightening aspects of the Deathblow legacy before taking her place as the WildStorm Universes only Deathblow.